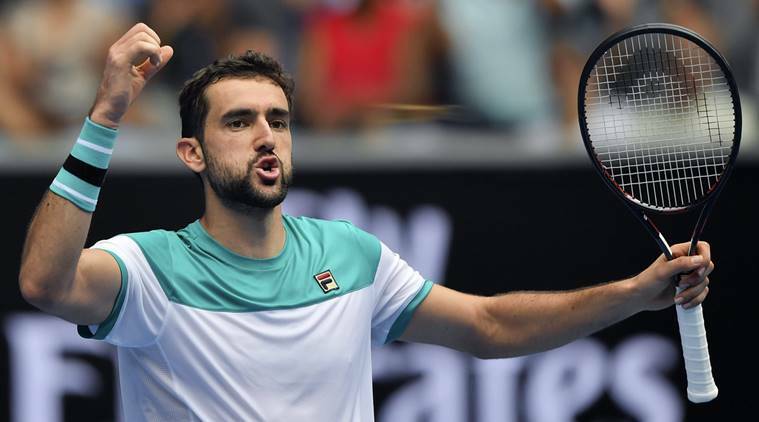 Marin Cilic is through to his first Australian Open men’s singles final, the Croatian No.6 seed overpowering first-time Grand Slam semifinalist Kyle Edmund 6-2 7-6(4) 6-2 at Rod Laver Arena on Thursday night. The 29-year-old Cilic, who took his maiden major victory at the US Open in 2014, will play the winner of Friday night’s second semifinal between defending champion Roger Federer and unseeded Korean Hyeon Chung. By advancing to the decider, Cilic surpassed his previous best performance in Melbourne, where he was eliminated in the semifinals by Andy Murray in 2010. He is the first Croatian player to advance to the final of the Australian Open. Sunday’s final will be his third Grand Slam decider, after he lost to Federer in the final at Wimbledon last year.